Property 1: Casale Degli Zizzoli "Il Fienile"
'The wart' on the bank of the stream. Property 2: 'The wart' on the bank of the stream. Property 16: holiday House "Poggio della Civetta"
The Granary, in peacefull Tuscan hills. 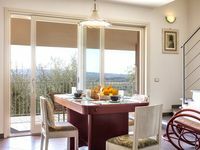 Wonderful views, close to Pisa, Florence - ground floor_ Apartment "Terricciola"
Property 39: The Granary, in peacefull Tuscan hills. 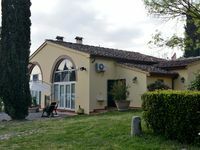 Wonderful views, close to Pisa, Florence - ground floor_ Apartment "Terricciola"
Property 45: A touch of tuscany feeling in a peacefull, charming country side. Very modern. Well equipped. Beautiful bedrooms. Very comfortable. Beautiful VRBO. Beautiful view. Easy to find and wonderful host family. Easy to get to anywhere in Tuscany ! I would highly recommend this place. Our family had a great time and stay at this accommodation. We enjoyed going out to see the sights and coming back to the home to relax. The owners made our stay in Italy a wonderful experience! We would stay here again!